Should I Repair, or Should I Replace My Projector? Repair or Replace is probably the most common dilemma that our projector end user customers face. First thing’s first – Don’t replace your lamp without reading our guide on replacing projector lamps. The first question to ask is – What was this projector worth new? If the projector cost less than $600 new, don’t even bother with a repair. A factory refurbished projector is your best bet for saving money. Or you can use this as an opportunity to trade up to newer features like higher resolution or HDMI inputs. If the projector cost less than $1,000 new, this situation can be a coin toss between a cost-effective repair and an upgrade. If you are due for a lamp change, this can exacerbate the cost of repair. If the projector cost more than $1,000 new, chances are that this is going to be a cost effective repair, and you should do it. The next question to ask – Are there any negative factors to replacing my projector? Is there anything about this projector that makes it more valuable than a new projector with similar features? If your projector has a detachable lens, check to see if there is a short throw or long throw lens installed. Often times, the lens can cost just as much as the projector. Replacing what you think is a $1,500 projector can cost double that with the cost of a lens. Does it use a special mounting system that was designed for this projector? The cost of hiring a contractor to modify the mount can be a massive pain. Does this projector integrate with a special room control system? Changing the projector could cause issues with the control system. Is the projector part of a multi-projector system? A new or different projector will cause serious blending issues due to differences in brightness/lamp life. What is the build quality of this projector? A Sanyo or Barco purchased five years ago will be much more resilient than an Optoma purchased at the same time. Do you use an LCD projector in a special application where you can’t use a DLP based projector? It is becoming more difficult to find LCD based projectors on the market. Do you already have a road case for your projector? You would have to get a new case built for a new projector that you purchase. Do you work for a government agency that requires new purchases to go through a long bidding process? It may take months before you can purchase a new unit, but you can repair a unit more quickly. Still here? Then the third question to ask – Are there any positive factors that would make the repair more economical? Do you already own replacement lamps? If the original seller of the projector included lamps, then you would have no use for them with a new projector. Some lamps like those on the Christie Roadster series can cost $4000 or more. Do you own multiple of the same projector? If so, you can use two bad projectors to make one good one, saving on parts. If you are still on the fence about repairing your projector, then you would be a good fit for our repair/upgrade program. Send your projector in for a repair estimate. If the projector is cost-effective to repair, we apply your repair deposit towards the total cost of repair, basically a free estimate. If you decide that you’d rather upgrade to a new or refurbished projector, we can help you find the right choice and apply your repair deposit towards the total purchase price. If you decided early on that you’d rather just toss your current projector and upgrade, give us a call and we’ll help you select a projector that will fit your needs & budget. We sell all major brands of projectors including Panasonic, Barco, NEC, Christie, and More. See a list of the brands we sell here. We also have access to refurbished projectors that others just don’t. We have refurbished 1080p Epson projectors for under $1000. Freedom Christian Center contacted us when their ACTO LX8100 failed. 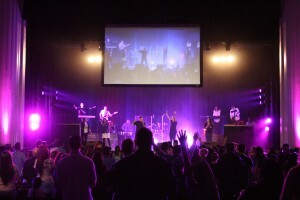 To deal with dimming brightness, the team at Freedom Christian Center attempted to replace the lamp on their own, using a lamp that caused total failure to the projector. With a failed Ballast PCB, the ACTO projector was dead. With a tight deadline, and a unique set up with a long distance projector throw, we knew that finding replacement parts for the Chinese made ACTO would be a tough one. 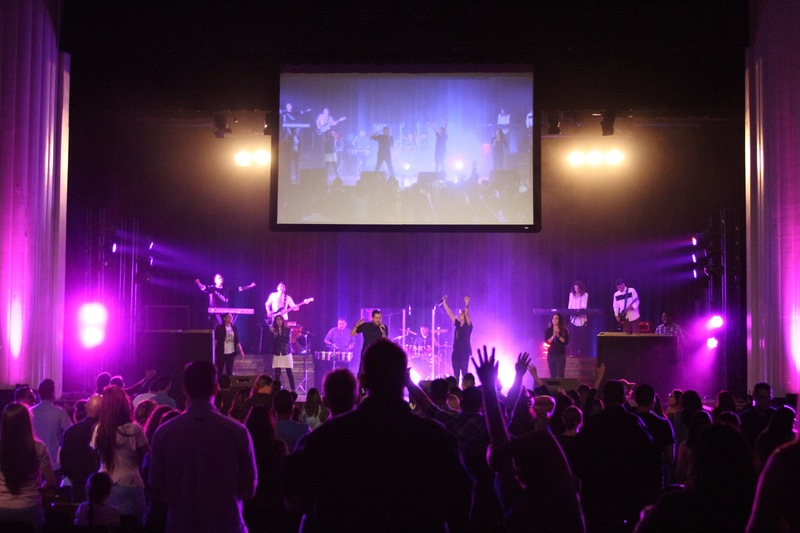 We worked with the team at Freedom Christian Center to pick a new projector with a long throw lens, eventually settling on the Panasonic PT-EW730ZU with ET-ELT20 Long Throw Lens. Banning Seventh-Day Adventist Church contacted us when their Sanyo PLC-XF47 refused to power on after a lamp change. What started out as a simple Ballast repair eventually evolved into a complex and intricate repair requiring multiple teardowns & rebuilds. We were able to offer a loaner unit to mitigate the total cost of repair, which was in the thousands of dollars, requiring a new main PCB, 4 new lamps, and other parts. In this case, failure to perform professional maintenance led to a catastrophic failure that cost 5 times as much in the end as a repair. But in the end, the repair was worth it – the PLC-XF47 is a 15,000 lumen monster with a long throw lens. To replace this unit today, will cost more than $10,000 new and at least $8,000 used (We NEVER recommend purchasing a used projector online). A home theater projector was sent to us with power issues. They had recently replaced the lamp, because they believed the lamp was the cause of their problems. As this didn’t resolve the issue, they contacted us. When we received the unit, we prepared an estimate that would cost 50% of the original cost. As they had already sunk a $100 on a bad lamp, they were married to the idea of fixing the projector. We were able to find a factory refurbished projector that had better color reproduction, was a higher resolution, and had HDMI compatibility, for only a slightly higher price than repair. There is no one size fits all for projector repair, and that’s why we created our risk free repair/upgrade program. We repair hundreds of projectors a month including Sanyo, Panasonic, Barco, NEC, Christie, Eiki , give us a call with your questions, and as always, don’t replace your lamp without certainty. 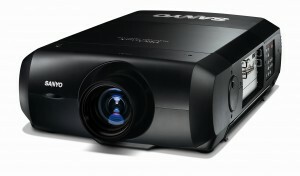 And if you do decide to purchase a new projector, we sell the whole line of Panasonic, Barco, Christie, Sony, NEC, & more.